With new Canadian Olympians in the field, and the return of last year’s champions, this year’s BMO Vancouver Marathon and Half Marathon event is shaping up to be its most exciting yet. 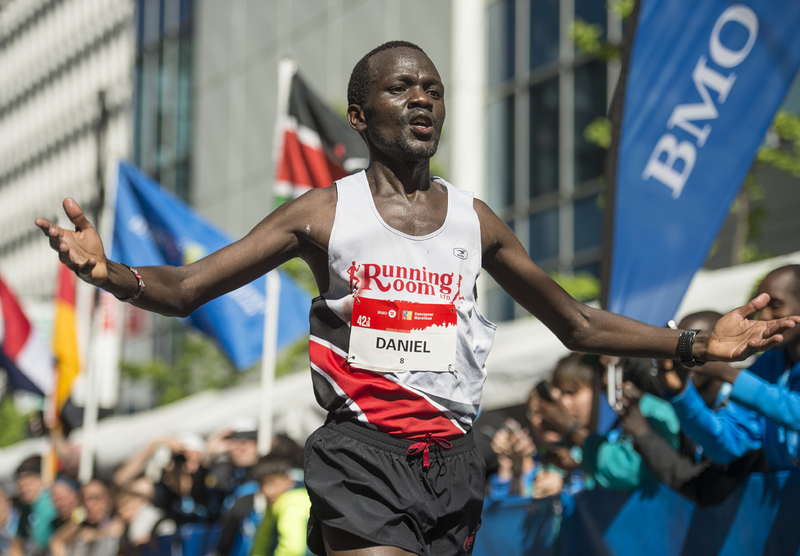 In Vancouver’s only Marathon event, last year’s champ Daniel Kipkoech of Kenya returns along with 2016 runner-up Habteselassa Lemma Gemechu of Ethiopia. Local running celebrity Robin Watson, who owns the event’s Canadian record on the Half Marathon course with a time of 1:04:48, will also move up to challenge in the full distance this year. “I really wanna win this one, that’d be so cool,” says Watson. On the women’s side, watch for Lioudmilla Kortachaguina from Canada who won in 2015 with a time just 37 seconds shy of the course record, and Allison Macsas from the United States who finished second last year. Mascas first came to this destination race in 2011 in pursuit of a US Olympic Marathon Trials qualifying time. “I’ve returned to this race almost every year since and have run faster than the previous year each and every time,” adds Macsas. Canadian Olympian Evan Dunfee will be race walking this year’s Marathon course and aiming for a time around 3:10. “To be able to get out and be surrounded by such motivated runners, I am super excited,” shares Dunfee. 2017 also brings an exciting milestone for the 46th edition of the Marathon, as this year will see the 100,000th Marathoner cross the Finish Line. Marathon course records are held by Luka Chelimo of Kenya (2:18:37, 2015) and Vancouver’s own Kimberly Doerksen (2:37:00, 2014). 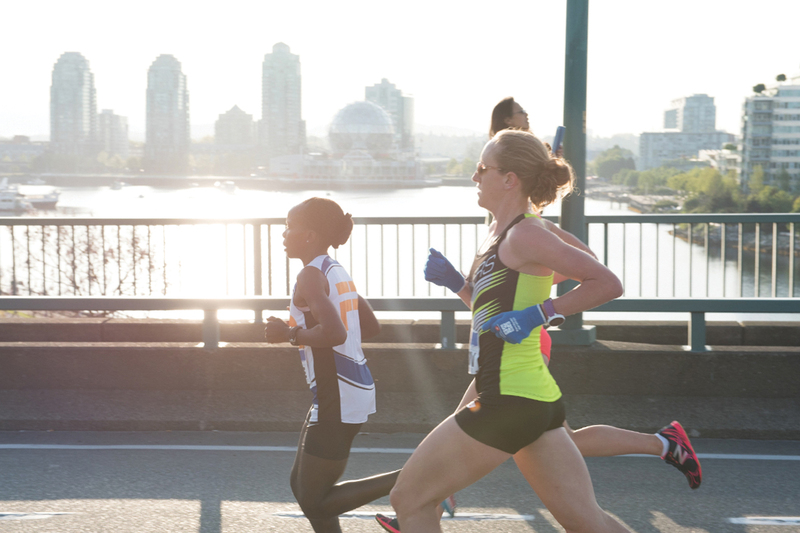 In addition to hosting Vancouver’s only Marathon, event organizers – the non-profit Vancouver International Marathon Society – will also host the BC Half Marathon Championships in conjunction with BC Athletics. Half Marathon course record holders, Paul Kimugul and Jane Murage of Kenya will return to defend their crowns and look to better their record times of 1:02:36 (2014) and 1:12:53 (2015), respectively. Kimugul could make this his fourth win in five years, while Murage is going for a three-peat and her third consecutive win. Another multi-winner, watch for Canada’s Kip Kangogo who took home the Half Marathon title in both 2010 and 2012. Kip missed last year’s race only because his wife Florida and daughter Emma welcomed a new addition to their family, Roy Bii Kangago, who was born on the exact same day as last year’s race! “When the gun goes off and the race starts, I’m running for a podium finish in the 2017 BMO Vancouver Half Marathon,” says Kangogo. Canadian Olympian Marathoner Dylan Wykes will also be a force in this year’s BMO Vancouver Half Marathon. 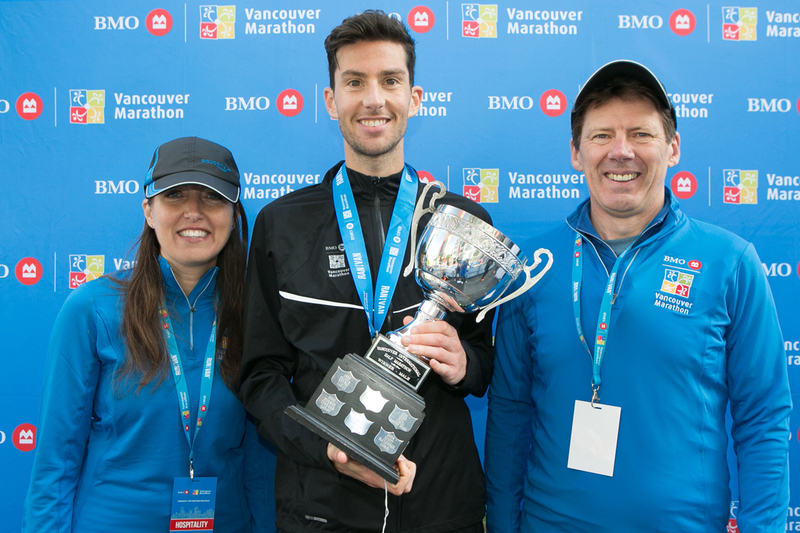 Wykes represented Canada at the 2012 London Summer Olympics and now calls Vancouver home with his new venture Mile2Marathon Coaching and is the clear favourite at the BC Half Marathon Championships. Watch also for Saucony sponsored athlete Canadian Emily Setlack on the women’s side who has a PB of 1:15:44 and could be motivated by the hometown crowds on race day. BC Half Marathon Championship challengers will come from Robyn Mildren and Kate Gustafson. The first Half Marathon finishers are expected to cross the downtown Finish Line early, just after 8am. Come enjoy the action and Street Festival that will feature lots of fun, free sampling and give-aways.